CHECHESMITHNATION : Super Model Tarmar Effortlessly Cute In Pink! 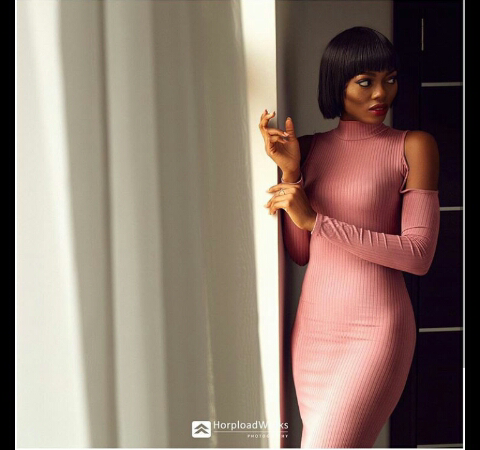 Pretty super model, Tarmar Awobotu who just celebrated her 31st birthay, looked so hawt in shape rocking a high necked pink ribbed dress. The pretty dress features a long sleeves and major shoulder cut-outs, while her hair looked lovely in full fringe style.